You can find all your order details within your Mogan Shopping account under Order List. Click on any of the items to read more details of each item order. 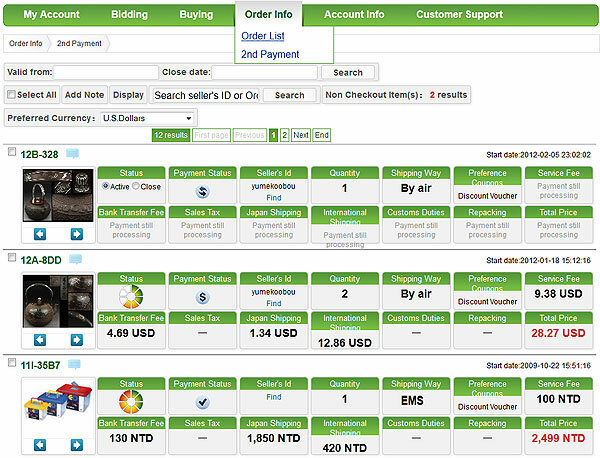 his is the place where you manage all your requests, view and monitor your purchase fees (payments 1 and 2). Furthermore, you can notify us if you need additional packaging (particularly for fragile items), or send your item to a different specified address. To track your order progress status please refer to the 'Order Tracking Process Status' (shown below).You can also sort your item watch list using our 'Add Note' function. This will enable you to prioritize your watch list more efficiently. 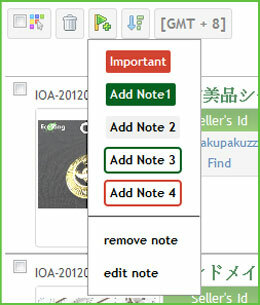 You can also sort your item watch list using our 'Add Note' function. This will enable you to prioritize your watch list more efficiently. Mogan Shoppoing 'Buy for Me'' service does not include order consolidation. As soon as you purchase any items from our selected shopping malls (Other), an order number will be created that will require being checkout soon after it is opened. If you wish to continue shopping, please notify us after your first purchase. A Mogan Shopping representative will package all your items into sorted order(s), otherwise individual order numbers will be generated preventing order consolidation. If you have any questions, please feel free to contact us and thank you for your cooperation. To review your fee breakdown, please go to 'My Account' and click on any of your items listed under Inbox. 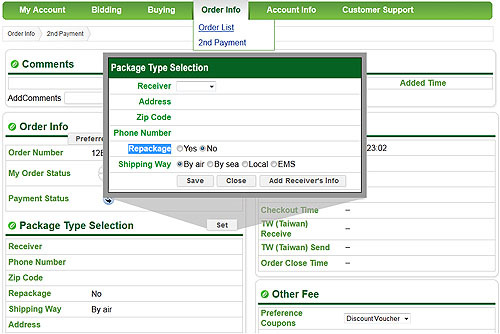 This page summarizes all your Order, Package/ Address, Price, Other Fee (2nd Payment) information. You can place your mouse on the status icon to track the progress of each item. We recommend you bid and buy 10 items per order number, from the same seller during one signed-in purchasing session. 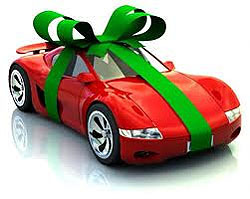 This lowers your overall shopping cost since there will only be one handling fee charged. Furthermore, we advise you to use our auto-checkout function allowing you to bid and buy for a period of 48 hours. With sufficient account balance, our system will auto-checkout once this time has lapsed to immediately commence processing of your order. To enable auto-checkout, simply go to My Account > Account Setting and check the Auto-Checkout box. Furthermore, if you purchase more than 10 items in one shopping session, our system will also automatically separate your orders into packages of 10 items to help consolidate your order. ＊Pre-order will not be able to combine with another order. Please ensure your contact information is correct, especially your specified delivery address and phone number. Please note, orders will be returned if you entered incorrect information. In this unlikely event you will have to provide an extra fee to resend your order. You can still change the delivery address while we are in contact with the seller, or set the designated address in any country per item. So that once we receive the item at our Japan warehouse, we will send it to your specified address. To do this go to My Account > Order List: select item and click package type selection. Consolidate your order (up to 48 hours) by purchasing up to 10 items per package (from the same seller). Ensure sufficient balance and check purchased items in 'My Account'. Checkout to close your order and complete initial purchase of your items (1st payment) from your Mogan Shopping account. Please ensure your contact info is correct. Contacting the seller of your purchase (1st payment) transaction from your Mogan Shopping account. Please ensure sufficient funds and correct contact info. Item payment transferred, the seller is sending your items to our international warehouse, please prepare (2nd payment) for shipping. Order Arrived to Our Warehouse (awaiting 2nd payment) Your items have arrived to our warehouse and is being prepared for shipping. Please ensure your 2nd payment covers all necessary fees to delivery your items to your door. Once your 2nd payment is transferred, your order will commence international shipping. Delivery time will vary, depending on your country location and type of delivery. Notice:For EMS shipment packages,It means the order are awaiting for the 2nd payment. Your items are going through customs and is being prepared for delivered to your specified address by a local courier. Notice:For EMS shipment packages,It means we have already sent the package to you from our warehouse in Japan by this status. Sign-off your order to confirm receipt. Please offer any feedback for us to further develop our service. Thank you for shopping with us. We normally ship your items internationally from our Japan warehouse, in the packaged condition we receive them in. Please note, the condition of packaging, by the seller, tends to be more suitable for Japan’s domestic delivery service. However, Japan’s domestic delivery tends to be more carefully handled than international shipping. This does not necessary mean that the packaging quality is not sufficient for protecting your packaged items from possible damage during International shipping however, please take into consideration the fragility of any of your items, such as glass, pottery and other delicate products. Please note, EMS are responsible for the protection of your items during international shipping, they offer a face-value compensation if your items are damaged, however we can assist you with the claim. If you need further packaging for additional protection, please specify this in My Account > Order List, click on any of your items and select the 'repackage' option under 'Type of package' before or within 48hours after checking out. We will ask seller to package your order carefully. In addition to repackaging, you can also insure your items. Seller’s seldom request for a packing cost. In such cases, this fee would be shown on the item page for fragile items. However the choice is must be made before your order reaches our warehouse. If you need further advise, please contact us and a Mogan Shopping service representative will assist you. 1) Auto-Checkout (recommended) Save time and effort by seamlessly processing your items, payments 1 & 2, via our auto-system checkout. By enabling the auto-checkout function, you can optimize your purchases via consolidation and have them quickly delivered internationally to your door. As long as your deposit funds are sufficient, our system will auto-process your order and update you on the processing status. Furthermore, you will only receive 1 bank fee from Paypal or Alipay. Please go to: 'My Account > Account Setting' click ‘Edit’ and select ‘Auto-Checkout’ under Personal Settings’. You can also refer to: Consolidate My Order or 2nd Payment. 2) Manual Checkout Manage the process yourself by payment 1 (item purchase) checkout and payment 2 (shipping, service) checkout to deliver your order to your door. Note: Paypal or Alipay will charge 2 bank transfer fees. Please go to: ‘My Account > Order Info’, select your item(s) and click the checkout button. You can also refer to: 2nd Payment. We do not permanently store purchased items in our warehouse in Japan. Items stored for more than 10 days are listed as unpaid items. Mogan Shopping does not accept for any reason for failure to pay for purchased items and may take a range of actions, including limits on buying and selling privileges or suspension of your account. No insurance will be provided for items stored in our warehouse for over 20 days. We encourage you to complete the 2nd payment within 48 hours. If any payments remain outstanding for 10 days, your account and all member privileges maybe frozen until all outstanding payments are cleared up.